** Note: this was first posted in February. It's being highlighted once again in time for the OPG emergency "exercise" taking place this week, December 6th & 7th. Not much has changed! There are still plenty of elephants in the room. See article here about the meeting coming up tonight. 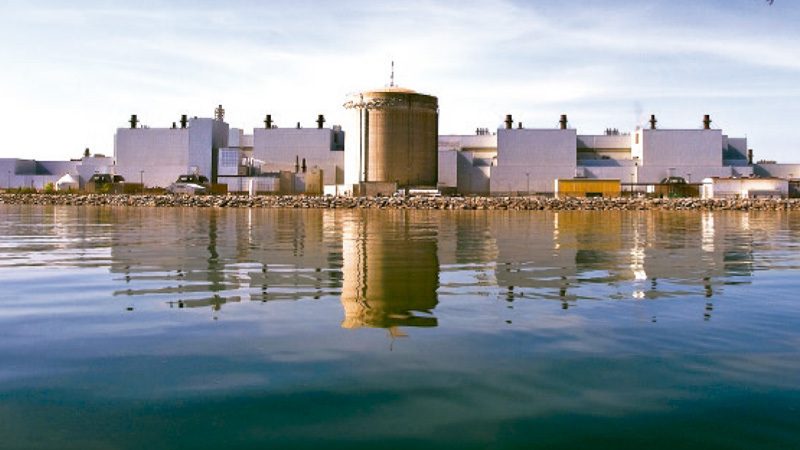 Pickering’s nuclear generating station is the 5th largest in North America and 4th oldest in North America (it’s been operating since 1971) … & is located within 30 kilometres of 2.2 million people. All of Toronto is within 50 kilometres of the Pickering station. (& don’t forget, Darlington is just down the highway too!) The plant is licensed by the Canadian Nuclear Safety Commission (CNSC) until August 2018. Ontario Power Generation (OPG) wants to push the licence out another 10 years. But there are elephants in the room that hardly anyone seems to be talking about. In 2016, both a whistleblower letter from CNSC staff & a federal audit revealed sloppy practices inside Canada’s federal nuclear regulator. This Globe and Mail article from last October sets the stage about the heat the regulator is facing – with as yet no apparent signs the federal government is listening. According to a CBC news item “[Commissioner of the Environment & Sustainable Development] Gelfand said 75 per cent of site safety inspections were carried out without an approved guide, and compared that scenario to a pilot taking off on a flight without going through a safety checklist. As it happens, CNSC receives 70% of its funding from the nuclear industry in “cost recovery” fees. This means CNSC would actually appear to have a vested interest in keeping the Pickering plant operating. & puts into question how likely it is CNSC can/will provide a truly independent & unbiased review when OPG sends the agency its license request for a renewal. Very few of us will “bite the hand that feeds us” … will we?? A Toronto Star article from January 2016 asks whether Toronto is ready for a radiation emergency – & is also as relevant now as when it was published a year ago. As a matter of fact, this Toronto Star item from 2011 – Is Ontario ready for a nuclear disaster? (published one week into the then-new Fukushima nuclear disaster) – still also remains timely! *** We are still waiting! The Fukushima disaster began 6 years ago now … & still there are no revised emergency plans in Ontario. According to figures published by the NWMO (Nuclear Waste Management Organization) – a nuclear industry body – as of June 30, 2017 there were 399,703 used fuel bundles in “wet” storage and 337,114 in “dry” (see page 3 in the linked report). For a total of 736,817. The longer the plant is operating, the bigger the numbers become. ((((Oh & btw, your home is not insured against a nuclear accident. ** These are just a few of the “elephants in the room.” There are more! And if the plant is closed? The Ontario Clean Air Alliance has studied alternatives & claims that closing the plant, & replacing the energy generated there with hydro power from Quebec can lower our electricity bills by $1 billion.